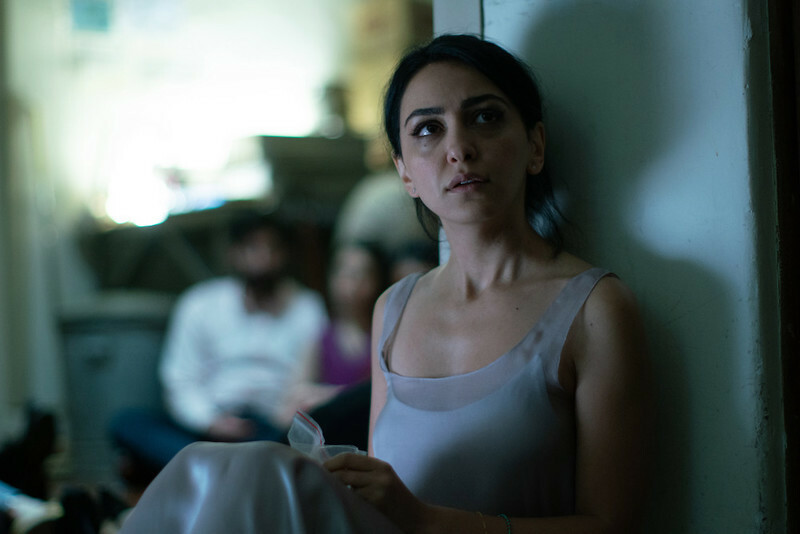 Nazanin Boniadi stars in “Hotel Mumbai” as Zahra, a wealthy Middle Eastern woman who arrives at the Taj Hotel in Mumbai with her American husband, their baby, and their nanny, just before the terrorist attack that went on for more than three days in November of 2008. Yes, there is a lot of that parent-child dynamic throughout the film—me trying to find my child, Armie's character, David trying to find his child, the nanny holding the child and calling her father. 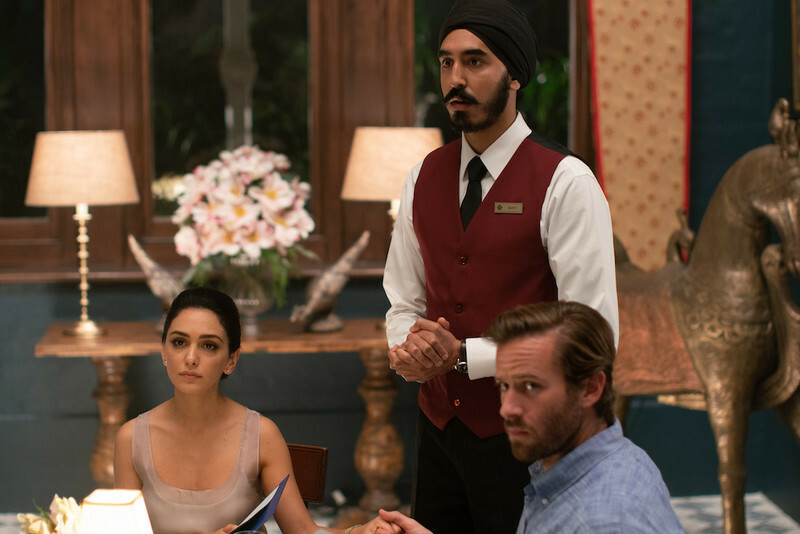 Dev Patel’s character Arjun trying to get back to his child. And I speak to my mother. The person who played my mother in the film is my actual mother, who I was texting when you came into the room just now. 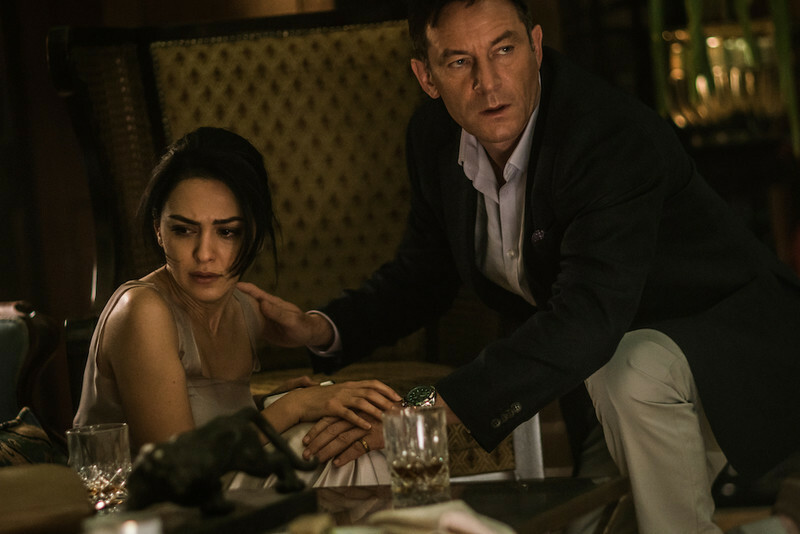 She's not an actress but I felt that it was such an important scene, and I felt like I wanted someone to create that relationship for Zahra. So we went into a booth and Anthony came in on Skype, and like we were in LA and he was in Australia at the time and we made it happen. All I said was, “Just kind of try to react off of me.” And of course I forget because I have been doing this so long, how hard it is for non-actors to react. Because once they feel like they are on they do things completely unnaturally. It's just her voice; we didn't need a performance on her face. But of course her reflection and everything just became abnormally over the top. and for someone who never acted before in her life, it was completely foreign to her but they an experience. This is testament to how brilliant Anthony is. He came in on Skype, just his voice and not his face, and he spoke to my mother, because initially I was trying to almost give her line readings—I was like “This is how I want you to do it,” because I am not a director. And Anthony came in and he gave her a scenario. “Imagine that Nazanin is going through this and when she says her line I want you to put yourself in the position of this is what's happening. This is your real daughter who is sitting in front of you telling you what you are hearing.” And it just took her to that place and she delivered the lines to perfection. And from that moment I realized that Anthony he has a very bright future ahead of him. I think with parents or children, just as the nanny was trying to do with her dad, we have this visceral or instinctual feeling to protect, we don't want our parents or our children to feel the pain that we are feeling or the fear that we are feeling. So I wanted Zahra to reassure her mother as best as she could, and then she really couldn't care less about this racist woman who just came up to her so I think she unleashes what she is really feeling inside, which is fear and anger and pain and frustration. And so I think I wanted to differentiate the two people on the receiving end of those things. Other than the language, what did you bring from your culture to the character? I actually found out about it this morning when I woke up and I was devastated. And I have to say it goes to show that extremism breeds extremism and it's probably never going to stop unless we change as human beings. And I think the beauty of the movie is it's an anthem of resistance. And it's unifying in the sense that it serves a microcosm of what the larger world is. Various races and religions, creeds, ethnicities, languages, 500 plus people thrown into the space. And at the end of the day when they are faced with abject fear and horror they have to unite. They have no choice. It comes from a place of fear of the unknown of the other and the beauty - we have the choice to respond. Zahra at first lashes out in anger, and then on the other hand you've got Arjun who makes a conscious decision to go up to the woman who is afraid of his turban and demystify. Because like that's what it is, isn't it, it's just that at the end of the day her not knowing. Who is this person and what does this thing on his head mean, and what is the beard and am I acquainting this with extremist terrorism, or is he just a human? He in that moment humanizes himself by showing the picture of his family. And I think it's so timely that these human stories of unity and resilience, and resistance against evil are told regardless of who's perpetrating the crime or the evil act. You and Armie Hammer have just a brief time together onscreen to establish your relationship. How do you work together as actors to communicate that to the audience? Anthony gave us these wonderful exercises, and we spent a lot of time in rehearsal. I had never met Armie Hammer before in my life. And Anthony had us sit there for an hour straight staring at each other not saying a word, just staring and not allowed to look away and go through whatever it was. I spent the whole hour crying because I was a mess as the character, and I thought, “Wow, this is my husband and I may never see him again.” I was thinking all of these things. And before we went into that exercise he gave us each our back stories separately, so we don't know what each other was thinking. The initial response is very organic to who she is from the sheltered background that she came from. So she finds out the baby is upstairs and now there is gunfire and she loses it, because she doesn't have any inner strength. She has never had to overcome anything in your life. And then her husband leaves and now she's alone and she quickly has to process: “I am alone and my baby is in danger and my husband is now in danger. I don't know if they've found each other or what's happening, I don't know if I am going to make it out of this. Breathe and try to find your inner strength.” And then when she's in the Chambers [the hotel’s safest room] I think she's lost, but I think there comes a moment when you are so horrified and terrified that you almost become numb because you don't know what's going to happen next.